The PhD is the highest degree awarded in higher education; it has become an indicator of a very high level of expertise in the business world, and is a gateway to the academic world. The internationalization of large corporations and of businesses in general in a globalized marketplace has led to wider recognition of the PhD and of the added value it represents. It is often a career booster with lasting benefits. This « modern » vision of the PhD aligns perfectly with the DNA of a top engineering school like Télécom ParisTech. Our focus is on innovation through digital technology and we are committed to ensuring continuity in our academic programs, between economic issues reflecting the market and the ambition to conduct cutting-edge research to prepare for the future. Key criteria including the originality of research, quality of the approach and demonstrated added value are assessed by peers to allow candidates to be awarded the title of PhD. All PhDs carried out at Télécom ParisTech receive funding, apart from exceptional cases in which individuals from the corporate world wish to complete a PhD in their free time. The majority of PhD students carry out their research through a doctoral contract. In cases in which funding is provided in the form of fellowships (foreign PhD students), Télécom ParisTech ensures that their financial situation is comparable to that of the doctoral contract, providing additional funding when necessary. For the most part, funding is made available through the School’s own resources and is often linked to contractual and partnership research. 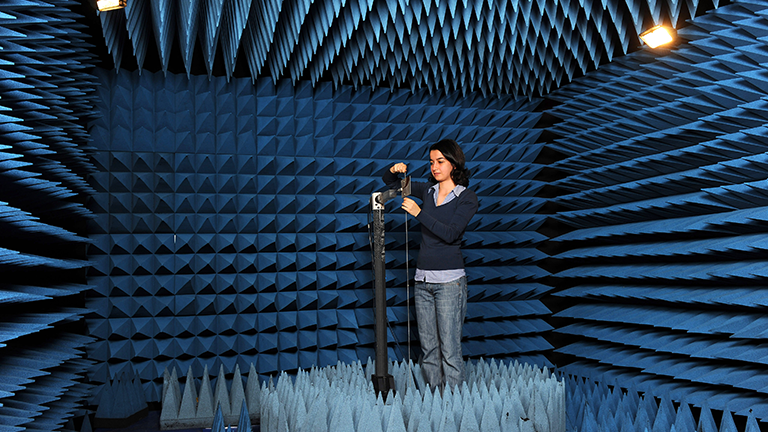 A significant portion (approximately 25% of PhDs) are the result of CIFRE (French Industrial Research Training) conventions between a company and Télécom ParisTech with support from ANRT. In this case the employer is the company. A large number of PhDs benefit from an international link as part of collaborative projects (primarily through European funding). These joint PhD programs require signing a convention with a foreign higher education institution and result in a degree recognized by both countries. This convention must be prepared as early as possible, in order to best establish the framework for the PhD, given that rules and practices may vary. Télécom ParisTech enrolls its PhD students in two doctoral schools which are part of Institut Polytechnique de Paris (IP Paris). The diploma awarded is a « PhD from Institut Polytechnique de Paris. » These two doctoral schools allow Télécom ParisTech to cover a great number of PhD thesis specializations (appearing on the PhD diploma). EDIPParis: IP Paris’s multidisciplinary doctoral school, co-accredited with HEC, which groups together the great majority of PhD students enrolled at Télécom ParisTech. EDMH (Hadamard Doctoral School of Mathematics), co-accredited by IP Paris and Université Paris-Saclay. 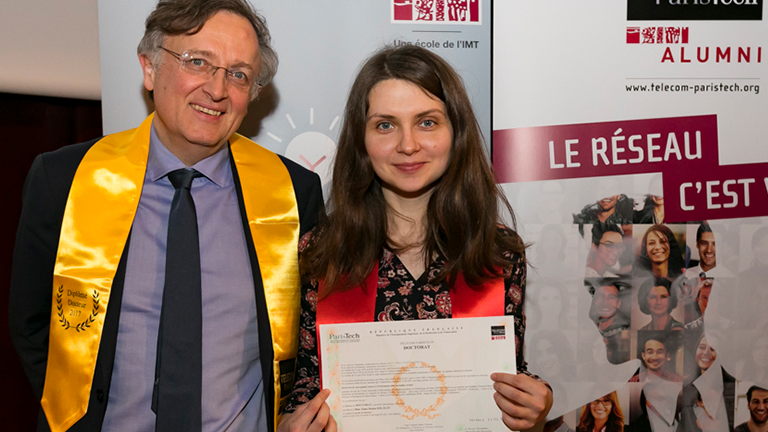 Every year since 2016, Télécom ParisTech has awarded the « Télécom ParisTech PhD Thesis Award » to three young researchers who have earned their PhD in the School’s laboratories over the course of the previous calendar year. Finalists are selected based on academic records and are ranked from 1st to 3rd place following a five-minute « pitch » made in front of the jury.